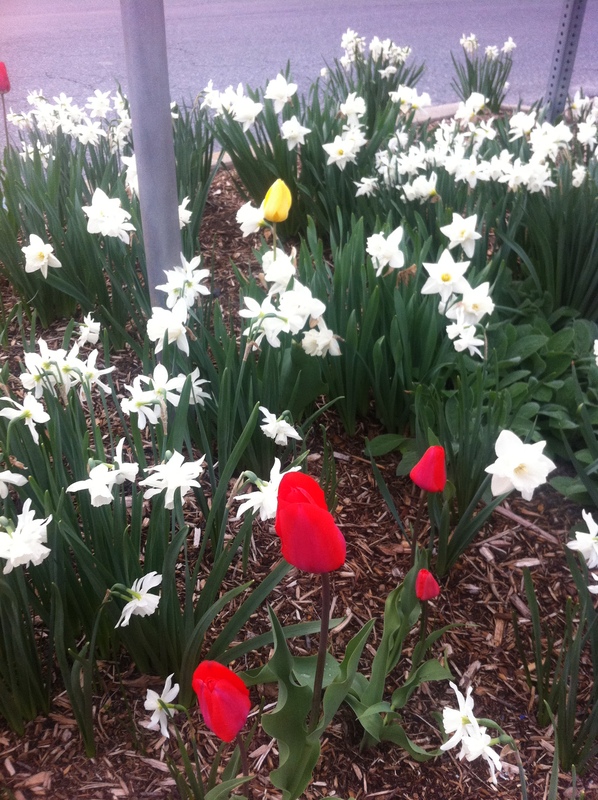 Spring is definitely in full tilt here! Today we hit 82 degrees, then dropped 10 degrees and had a torrential thunder storm. 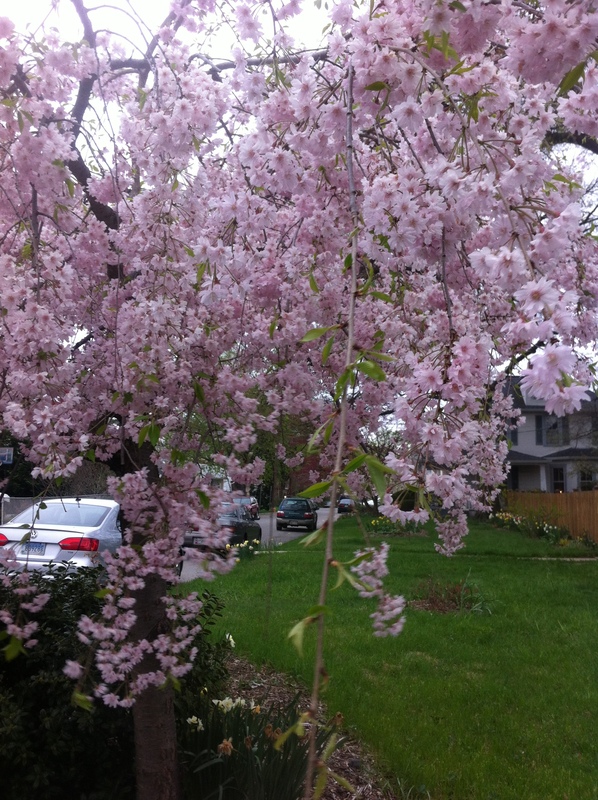 But not before I took these pictures of Wunderland and the neighborhood’s blooms. Enjoy! These are the trees in front of Wunderland.Earth (you can see Werner the bug and Oscar the van, too!). The evergreen’s name is Lucky. I’ll tell you his story another day. 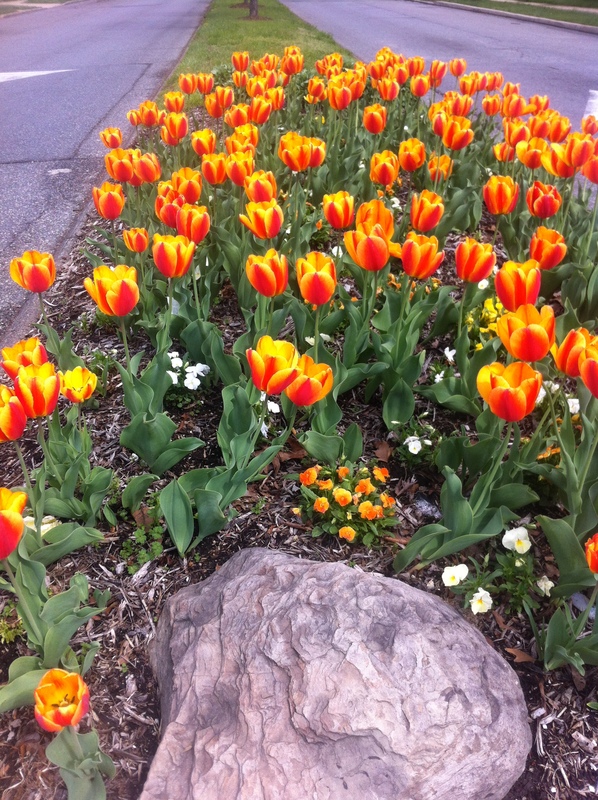 Here are the city-planted tulips and such at the bus stop across the street and in the dividing island of the main street. 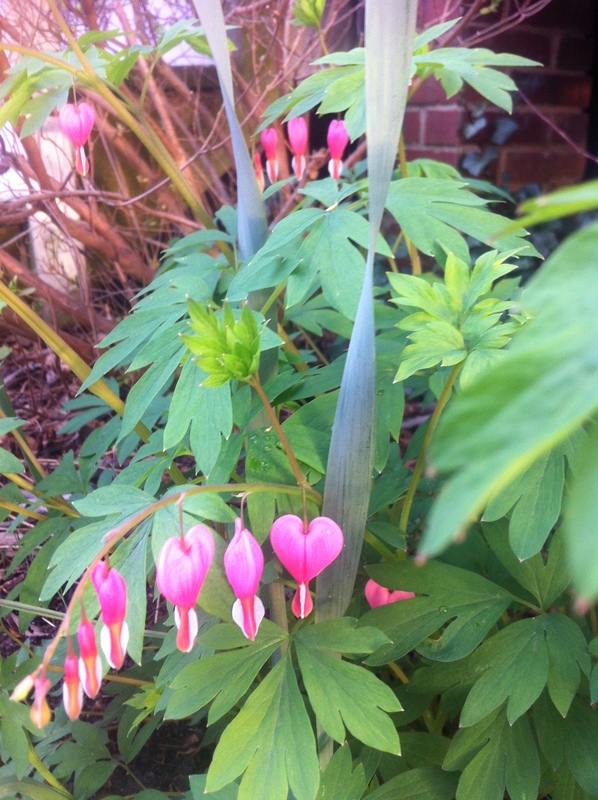 And finally, some of our neighbors’ flowers. 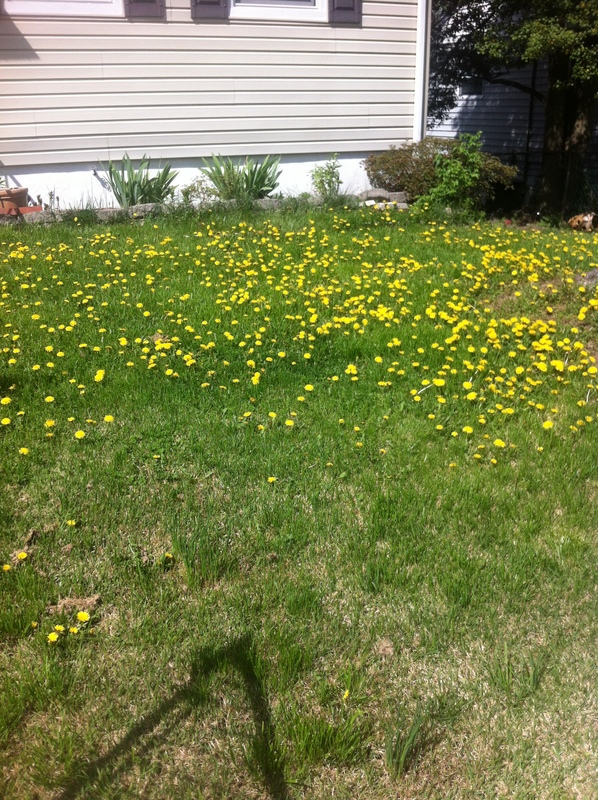 The dandelions may be weeds, but I think they’re beautiful! 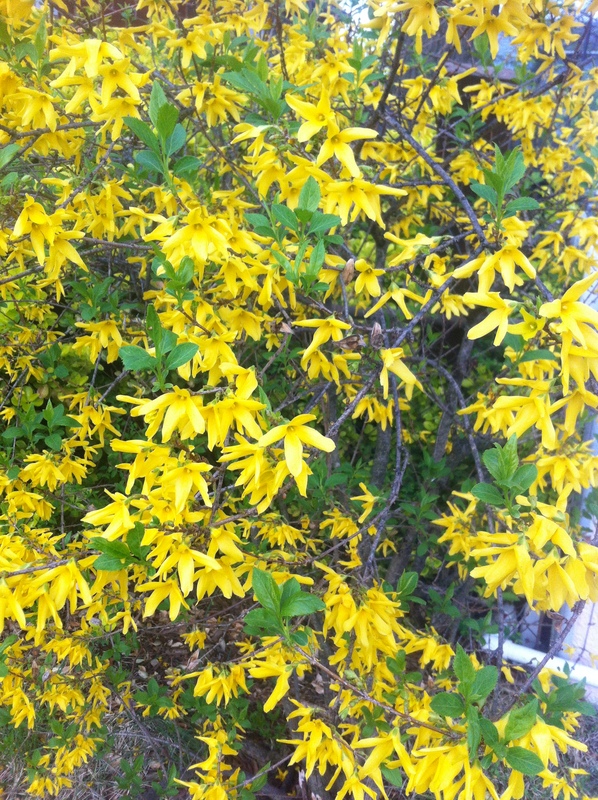 And it surprised me to see a bush covered in yellow flowers… I’m not used to bushes blooming! I hope you enjoyed this little taste of Maryland springtime!